A chilling footage purportedly showing a dead woman’s soul leaving her body, has been doing the rounds on the internet, as many are citing it as evidence of life after death. 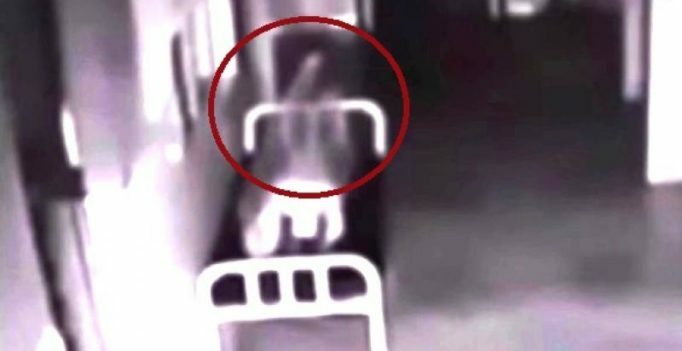 The video said to be from a hospital in China initially shows a woman, covered with a white sheet, lying still on the bed in the hallway of the hospital. A spirit is then seen gradually rising from the body and floating over the woman, as it drifts away through the door. The video was recorded in 2014 at around 4 am, but the hospital at which the woman died is still not known. It has still not been proved if the footage was doctored.